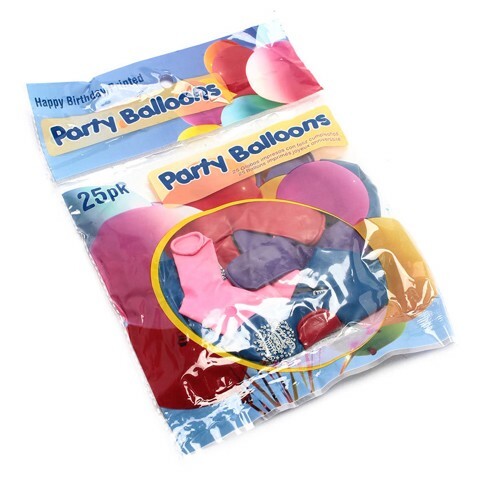 Balloons Happy B-Day Printed 25Pk. 9-10cm Deflated l 23cm When Inflated. Assorted Colours Mixed In Bag l Happy Birthday Printed In White On Balloon. Latex| 1g. 1G Packaging: Printed OPP Bag.